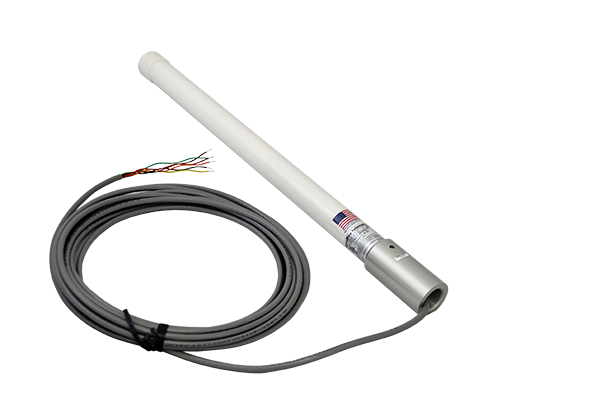 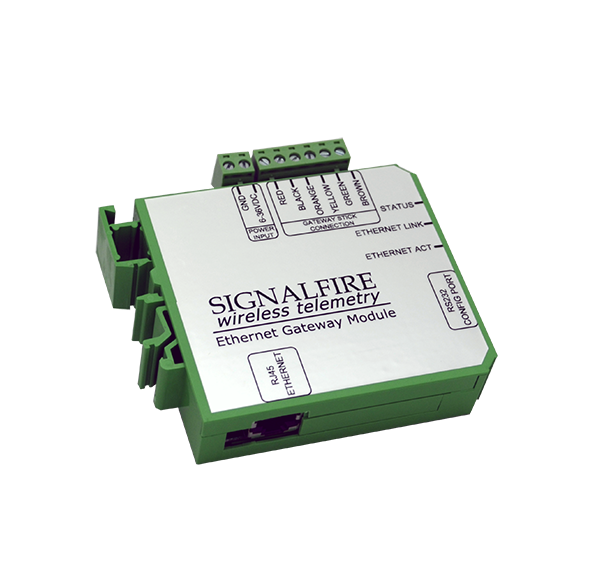 The Ethernet Interface Module permits direct connection of the SignalFire Wireless Mesh Network to an Ethernet Network. 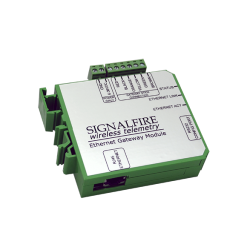 The Ethernet Interface Module has 2 addressable ports and is designed to connect to a standard SignalFire Gateway Stick with little or no configuration necessary. 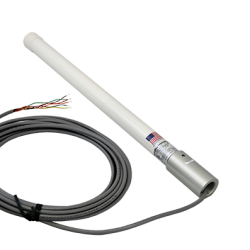 Remote Access: Ethernet gateway module allows remote connection to the gateway and field devices for configuration and diagnostics.